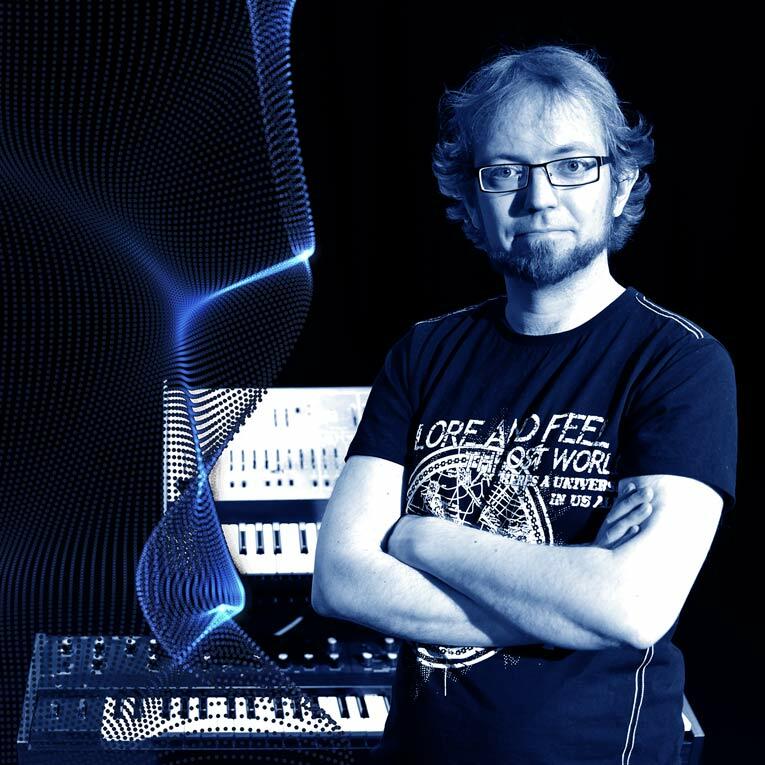 His music is distinguished not only by a skillful treatment of analogue synthesis but also of an audience- captivating live performance – his YouTube channel has attracted over six million views and a lot of appraisal. Kebu’s debut album from 2012, To Jupiter and Back, was a tribute to the great synthesizer music that he grew up with. The album was well received – it went straight to Top 30 on the Finnish Album Chart and it was nominated for “Best International Album” in the German Schallwelle Music Awards. Kebu’s concerts are surrounded by warmth and joy, as well as a huge arsenal of analogue synths, which brings to mind the best solo synthesizer artists from the 1970’s and 1980’s. Swedish Gaffa.se said in a rave review of one of Kebu’s gig that “Jarre’s successor has arrived”. Kebu was nominated for Best artist of the year in the Schallwelle Music Awards 2013. Kebu’s approach is very DIY – he does almost everything himself, from composing to producing, artwork layout, web page design, as well as video recording and editing. With his latest release, Perplexagon, Kebu has honed his craft and produced a two-sided album, which mixes influences from both 70’s and 80’s music as well as from modern electro in a distinct manner. The album debuted as number 6 on the Finnish Album Chart and was supported by a tour in Northern Europe, including concerts in Germany, the Netherlands, Denmark, Norway, Sweden, Estonia and Finland. Previously, Kebu has worked as a keyboard player, arranger, composer as well as recording and mixing engineer with bands such as Kouzin Bedlam, Vinyl Jam, 1G3B, So Long Sisters, Prime Mover, Fat Funk Force, Nektor, and Couch. In total, he has performed close to 200 concerts with various bands. He also does soundtracks. His latest work was the title track and background music for the science radio program Kvanthopp, airing weekly on Finnish national radio (YLE Radio Vega). Sebastian was awarded an art grant from the Swedish Cultural Foundation in Finland for doing music for one year – this grant will be used during December 2016-November 2017. Until now, Sebastian has been a senior scientist and project manager at VTT Technical Research Centre of Finland, where he has been working on carbon capture and storage (CCS) – related issues since 2008. He has functioned mainly as a project manager and has been managing a five-year long Carbon Capture and Storage R&D Program (CCSP), which will end in October this year. The program had 27 different partner organisations and a total budget of 15 M€. He received his D.Sc. (Tech.) degree in 2008 from Department of Energy Technology, Aalto University, where he was developing processes for storage of CO2 as carbonate minerals.